I’ve had a very interesting time looking at David Boothroyd’s archive. Re the historic GLC results, there have been a large number of well-known national politicians who have been on the GLC that I didn’t know about, including Sir George Young, but I was particularly surprised that in the days when election was by borough rather than by constituency the Countess of Lucan was a twice-defeated Labour candidate for the City of Westminster. One colleague of mine in Richmond Park CLP, Frank Cooper, who is still very active indeed in the Party in his late 80s, was member for Hendon North from 1973 to 1977 (the only time Labour won that constituency in the GLC elections, and the only time at any level apart from the 1945 general election). Sadly David hasn’t updated his archive for at least 7 or 8 years. I wonder how many former GLC members are still in the commons? Aside from Sir George there is also Bob Neill, who represented Romford. A more different Tory from Andrew Rosindell would be hard to find. The same goes for Bernard Brook-Partridge who previously represented Romford on the council. Another former GLC member still in the Commons is of course John McDonnell, who represents his former GLC seat & was Deputy Leader under Ken Livingstone. Wasn’t he the chairman of the GLC’s finance committee who was a constant thorn in the side of the Thatcher government during the rate capping rebellion? McDonnell and Livingstone. I believe, fell out for a very long time. Barnaby can probably enlighten us. Ken Livingstone has made a lot of enemies on the left. Unless I’ve missed someone, the only other former member of the GLC still in the Commons is Edward Leigh, MP for Gainsborough. There are at least of couple of former GLC members who are now members of the London Assembly: Tony Arbour and Mike Tuffrey. From the recent past, Tony Banks and Bob Hughes were both on the GLC – Hughes I think represented Croydon Central. A hard seat for the Tories to take I think even if they are successful overall. But it may be possible. I think they need to select someone fairly soon – as Andrea mentioned on another thread, this seat is more winnable than some of those on the top 40 target list. Karen Buck is very popular locally. She comes across as very down to earth and ‘normal’. She’s often seen catching the bus or down her local chippy and chatting to constituents. For the Tories to win this seat they must select now and get the candidate working the seat everyday until May 2015. A late unknown candidate won’t win here! There was some coolness between McDonnell & Livingstone but “falling out” is perhaps a slight exaggeration. Nevertheless it’s true that Livingstone’s persona is not pleasing to many people who might be expected to be whole-hearted supporters of his. McDonnell was never personally disliked in the way Livingstone has been in some quarters – indeed, he has reached out to many voters who don’t normally identify with Labour in his constituency – and yet he stands further to the Left than Livingstone does. My mother for example worked for the GLC for its entire existence (and the LCC before it), and had – still has – rather little time for Livingstone, but always respected McDonnell even though he has always been considerably more left-wing than she is. She wouldn’t be alone in these attitudes. I have met both men & didn’t find Livingstone likeable at all, but McDonnell sincere & yet surprisingly likeable. It’s easy to forget that the Tories have never won this seat by more than 3,700 votes in, funnily enough, 1992, (unless I’m mistaken). Demographically, this area appears to have got better for the Conservatives since that time – certainly they do better in Little Venice and, even more so, Bayswater than they used to. And yet they still find themselves in a worse position than in 1992, even given the difference in the boundaries between now and then. It seems that comparative turnout has something to do with that; the Tories don’t seem to have turned out their vote as well as Karen Buck in 2010. With a stronger candidate the Tories would still be a clear danger to Labour here. All good points. Also, the demographic change is continuing to work against Labour year by year. The Paddington-area wards are bound to start to gentrify, and if there is going to be any significant effect from housing benefit caps it will surely be in a seat like this one. I would say that the Tories have a higher chance of gaining this in 2015 than they have of holding some of their London marginal, certainly Enfield North and Hendon. Yes I would rate Enfield North as a more difficult hold than Hendon, despite the higher majority. A pity in a way as Nick de Bois seems to have been a very good MP. Looking at last year’s mayoral elections, there was no sign of Labour’s Westminster strongholds weakening. All four Labour held wards voted for Ken unlike those in neighbouring North Kensington. There is also less period properties in these Westminster wards and far more council properties which limits gentrification. It’s not impossible to gentrify ex-council estates of course but any such process here will take years to take effect even with any impact from the benefit reforms. I think the Tories’ chances here will depend on a decent candidate and Labour being less effective in getting out its core vote than in 2010. Nevertheless, the seat remains their best prospect of a gain from Labour in London. Paddington North had been the seat of Brendan Bracken and a reliable Conservative seat till 1945. Demographic change aided Labour and by 1970 Labour were further ahead here that the Tories were now in their former stronghold of Paddington South. Labour then went onto winning the combined Paddington constituency of Paddington in Feb 1974 where Paddington South’s MP Nicolas Scott was defeated. Perhaps, this was an area where the Labour controlled London County Council did succeed in “Building the Tories Out of London”. The boundary changes in 1983 that transformed Paddington into Westminster North only turned the narrow 1979 Conservative majority of 106 into an notional 1979 majority of 2376. The boundary changes were less favourable than expected for the Tories because the strong Paddington Tory Ward of Hyde Park was omitted while the safe Labour Church Street Ward of St Marylebone was included. The notional 1979 majority fell back to 1710 in the context of the Conservative landslide of 1983. 1987 and 1992 did not see the movements to the Conservatives that occurred in Fulham or Battersea and it would seem that the long term shift to Labour in this part of London has continued. Tooting is a plausible gain for the Tories but like Hammersmith, I feel that most of the areas ripe for gentrification have already undergone that process so it has been ‘maxed out’ so to speak. This is also an area less likely to be affected by benefit changes as it is further out and therefore less expensive than North Westminster or Hammersmith. Tooting itself has not changed all that much either and I can’t see the Tories winning there for some time to come. The swing against Robert Hughes in Harrow West in 1997 was actually not (quite) the biggest in the country. It was 17.52% in Harrow West against 18.09% in Harrow East, 17.44% in Hayes & Harlington and a massive 18.83% in Brent North – all of them North West London seats. But if you think such large swings were unique to that part of the country, Crosby in Merseyside registered a thumping great 18.15% swing. Your summary of the relative perceived merits of Livingstone and McDonnell are spot-on. When I was dating Shami Chakrabarti (yes, my one claim to fame – shame we didn’t stay together, I’d be rich by now!)) between 1989-93 she expressed her admiration for McDonnell and even agreed to put her name as the former Vice Chair of the London Region Young Social Democrats to a leaflet endorsing his candidacy in 1992 – despite his obvious far left credentials. In contrast, a lot of people (including me) mistrust Livingstone and regard him as a slippery character. Among them is the notorious former leader of Lambeth Council “Red” Ted Knight. I’m reliably informed that he is still very bitter about Livingstone – and even supported Frank Dobson against him in the 2000 London Mayoral debacle – because whereas Knight refused to set a rate and was consequently surcharged back in the 1980s, Livingstone ultimately avoided that eventuality despite talking big about defying the government. Knight actually helped to organise a committee room with me in the Cranford Cross polling district of Hayes & Harlington in 1992. Very nice, personable chap. By the way, although Livingstone and McDonnell fell out I think they have partly made up and I rather think McDonnell may have voted for Ken in 2000. Was Shami Chakrabarti a Labour campaigner at one time? I think that AKMD is absolutely right about Tooting, but not about Hammersmith. The Tory council in the latter is proposing to demolish the Gibbs Green estate, and try to get as many as possible of its residents to live outside the borough. The estate is in the only split ward in the borough, North End. Thus by social engineering the Tories are indeed managing to engender further demographic change in the favour. (The area was historically in the Fulham constituency, but is now in the Hammersmith seat.) Demographic change is however much slower to occur further north, with College Park & Old Oak almost completely untouched by it, and only very limited signs in Wormholt/White City & in Askew. There is some change in Shepherds Bush Green but not on a huge scale, and Labour did win the ward with a pretty comfortable majority in 2010 (it had been split in 2006). But I wouldn’t rule out the possibility of large-scale further pro-Tory demographic change in Hammersmith, not at all. I don’t think it’ll go far enough to prevent Labour winning the seat as it currently stands in a decent year, but it could make it very winnable for the Tories in a more pro-Tory one. No, Sharmishta was never a Labour campaigner. She joined the SDP on her 16th birthday (in the Summer of 1985) and remained a member until the 1987 General Election before completely bowing out of party politics. She’s not as left wing as people think she is – although she was passionately left wing on social issues (e.g. gay equality) she was actually quite right wing on things like defence and a great admirer of the USA. Really quite an ‘Owenite’, which was right wing in SDP terms. For example, she was not averse to a coalition between the Alliance and the Conservatives (even when Thatcher was leader of the latter). As someone who was also active in Labour politics in the 1970s and 1980s I found Ted Knight absolutely terrifying. Ken Livingstone on the other hand was always serious about running things and while his views, then and now, do not always receive much approval, at least he has been honest about them. That was what made the Conservatives so furious in the 1980s. They would talk him up as a combination of Chingiz Khan and Joseph Stalin, and then he would appear on TV as the voice of sweet reason, dealing honestly with extremely hostile questioning. There are good reasons why Londoners voted him in as mayor in 2000, and if Ted Knight fell out with him, that is to his credit. And his anti-Jewish remarks? You’re happy with those, are you? The sad thing is that we could have won the 2012 London Mayoral election but blew it by selecting a candidate who was no longer credible – and boy, did the electorate know it. “He still lives in Norwood on Gipsy Hill in a house with a brass plate reading ‘Edward Knight’. He still is active in the trade union movement. I agree – very scarey that he could get 48%. Cllr Lindsey Hall was selected tonight as the Conservative candidate for Westminster North. She represents Abbey Road ward in the constituency and looks similar in appearance to the previous Conservative candidate. yes, quite correct. That is a particular problem for the Conservatives and may help to explain to some extent the obvious gap between local & national results. Also Karen Buck benefits from being seen as standing up for residents even with conservative residents in St Johns Wood on the issue of basement excavations for example against a dominant Tory council. Andy Slaughter in Hammersmith also benefits from his fights with the council and their appetite for gargantuan property developments. It would be interesting to know how the percentage of foreign residents had changed in this constituency. As London attracts ever more foreign money with corresponding increases in house prices the Conservatives are likely to see their supporters priced out of constituencies like this one. I remember seeing an article about an estate agent showing a foreign oligarch a house in central London but one which was rather unimpressive. The estate agent said that they had much better houses available for the oligarch to live in. The oligarch replied that he wasn’t looking for a house for himself (he already had one) but one for cleaner to live in. A nice historical reversion – the central London constituencies once had the highest percentage of female voters because of the high number of female domestic servants who lived in the grand houses. also possible I would have thought, that a growing share of the less well-off residents of this area aren’t entitled to vote. True but how many of them do get British citizenship eventually? And I suspect that they would be even more pro Labour than the old ‘cockney’ wwc that they replace. Any reason why 4 of the 6 Conservative wards (Abbey Road, Bayswater, Little Venice and Maida Vale) are significantly more White British than the other 2 (Lancaster Gate and Regents Park)? I would guess those two wards may be more attractive to oligarch types, certainly Lancaster Gate which borders Hyde Park. Regents Park has a lot of council estates on the Camden side and maybe some of that spills over the Westminster border. It does seem that the Tories are facing a double whammy when it comes to most recent gentrification trends in London. They are suffering in the areas that are going downhill, yet are not in a position to benefit much short term in the areas that are gentrifying. This is not just because foreign citizens are buying a lot of the gentrified property, it is also because the gentrifying areas eg. Stratford and Bermondsey are surrounded by so much safe Labour territory that for some time any improved Tory support will be a drop in the ocean. Today’s Ashcroft marginal polling is very sobering news for the Tories as well. In many ways the Tories do best these days with the white lower-middle classes, precisely the sorts of people who are difficult to find these days in London (relatively speaking of course). The more I think about it the more gentrification seems like a false hope for the Conservatives. I would suggest that they instead look to the effect of people like L Bernard who feel forced out from London but who make the areas they move to more Conservative. 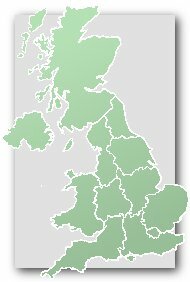 In my own experience ‘cockney’ accents were heard only very rarely 20 years ago but I hear them practically everyday now. Gentrification has helped the Conservatives in Battersea and Putney- no doubt about that. Elsewhere, perhaps boundary changes have got in the way. IIRC, the Conservatives would have won Hampstead and Highgate in 2010. Furthermore, I suspect Hammersmith and Fulham would have become ever more distant a prospect for Labour had it continued to exist. I was talking about gentrification that has primarily happened recently, such as in East London. Battersea and Putney is old news in that regard and the Tories have already reaped the benefits. Yet where are the rewards going to come in the future to outweigh the Tories losing more seats in the declining suburbs? They will not be winning seats in East London or Bermondsey to compensate, despite the gentrification taking place there. It will be quite a long time before the Tories win Hammersmith. It could be that Hampstead might start to reflect the problems of Westminster North, with the wealthier areas increasingly dominated by foreign citizens who can’t vote. Its no impossible that Battersea could trend Labour if an increasing proportion of the middle class voters there are foreign residents instead of Conservative voting British. This will still be a difficult seat for the Tories even if they are 6 or 7 or 9 points ahead of Labour.